Courtesy of Dave German. 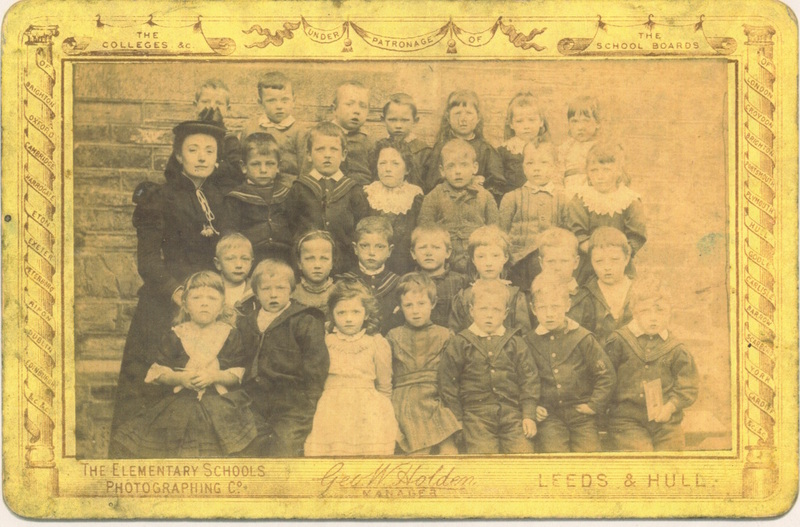 A rare image of what was presumably the infants class of Princetown School dating to 1893/4. 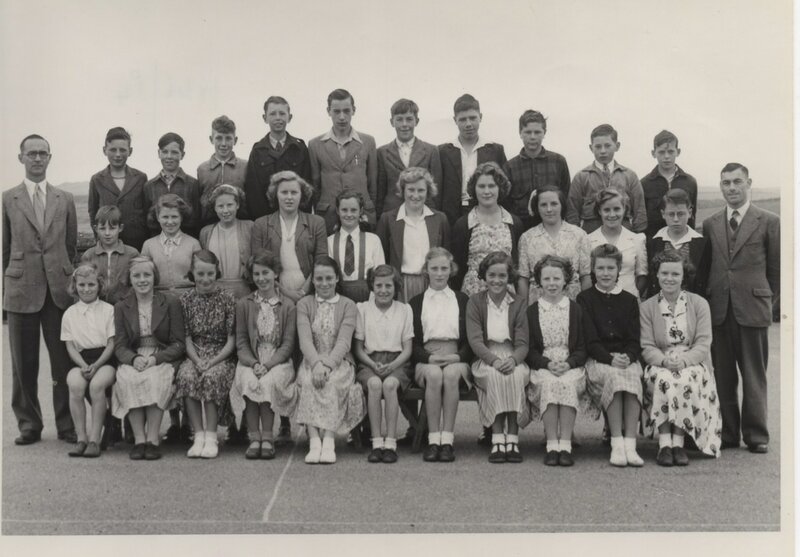 The only known person in the picture is the girl in the top row second from right. This was Margaret Dorothy Williams nee Dawe. 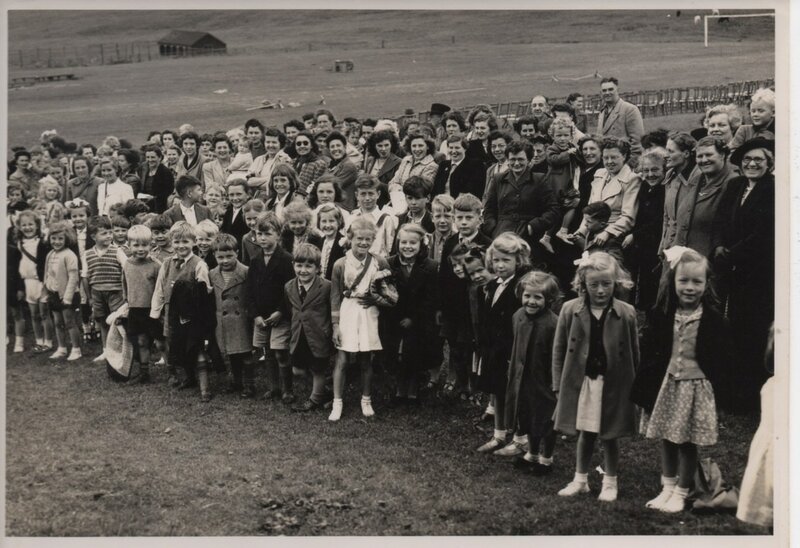 At the time of the picture she was living at Prince Hall Farm with her parents John and Mary Dawe. Later, she was the mother of Eileen Exell. 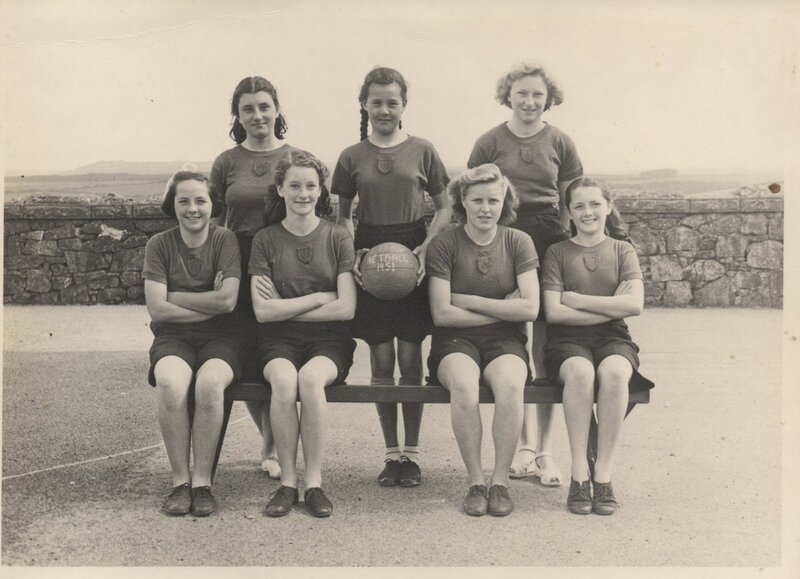 Princetown School Form 5, 1920. 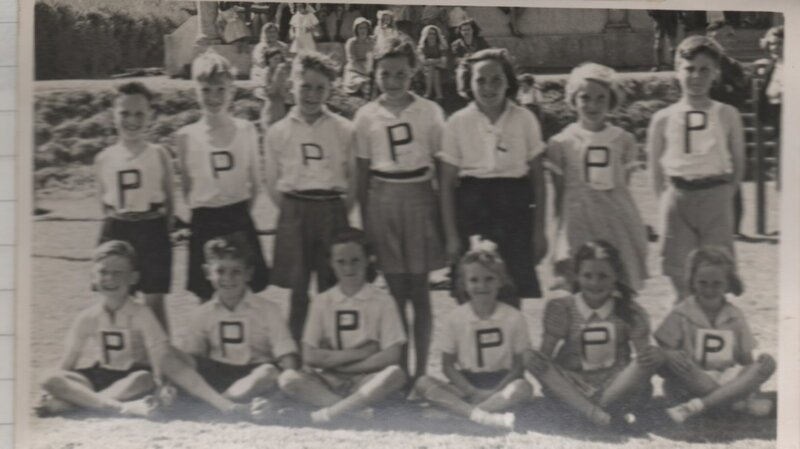 Back row l-r: Alice Stephens, ?, Mini Shaderick, Hamblin Creber, ?, ?, Mary Cowling, ?, ?, Lorna Waycott, Mr. Brown. 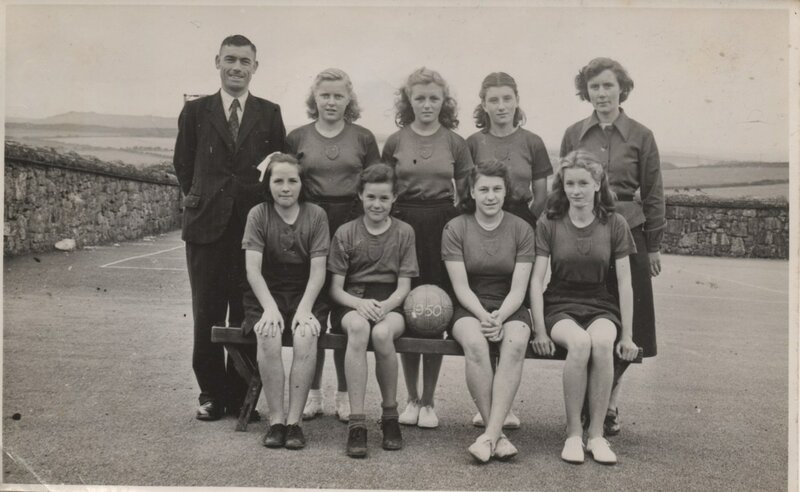 Middle row l-r: ?, Violet Dawe, ?, Dela Mutton, ?. 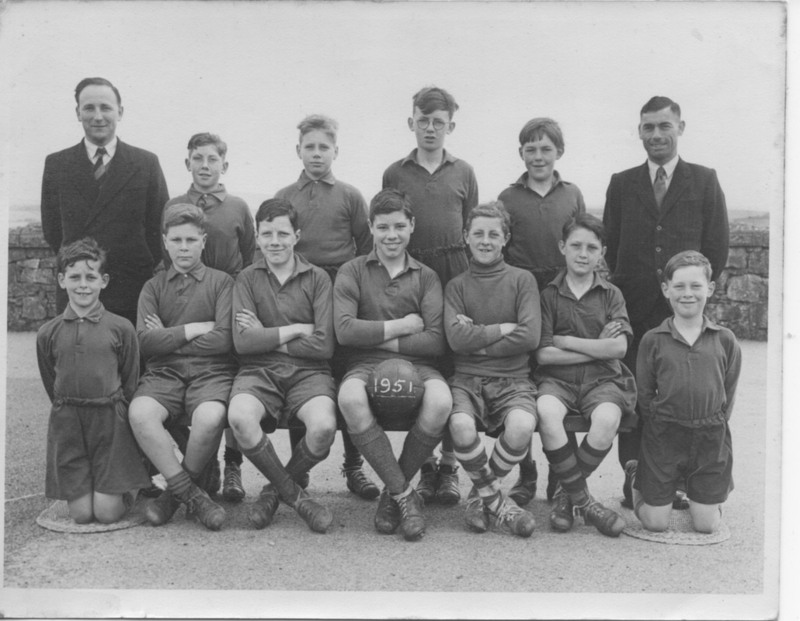 Front row l-r: Fred Waycott, Pat Coleman, Cyril French. Image courtesy D. German. 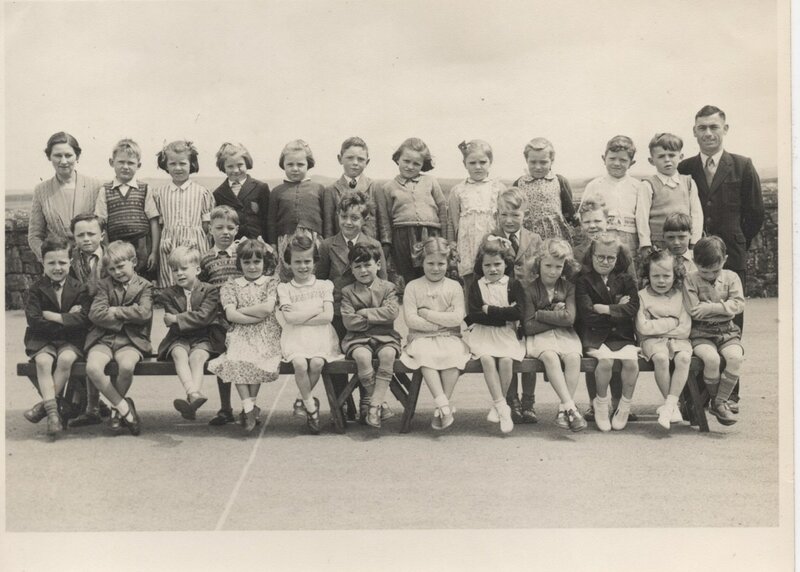 A Princetown school picture from around 1943 or 1944 I think. 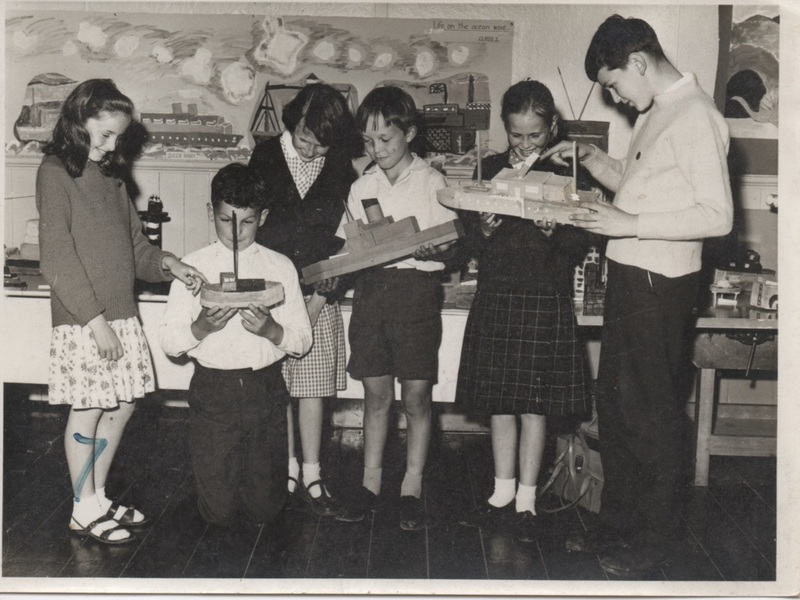 Apart from the teacher to the right, Mr. Conduit, the only person I can name is my father, Gerald Worth. 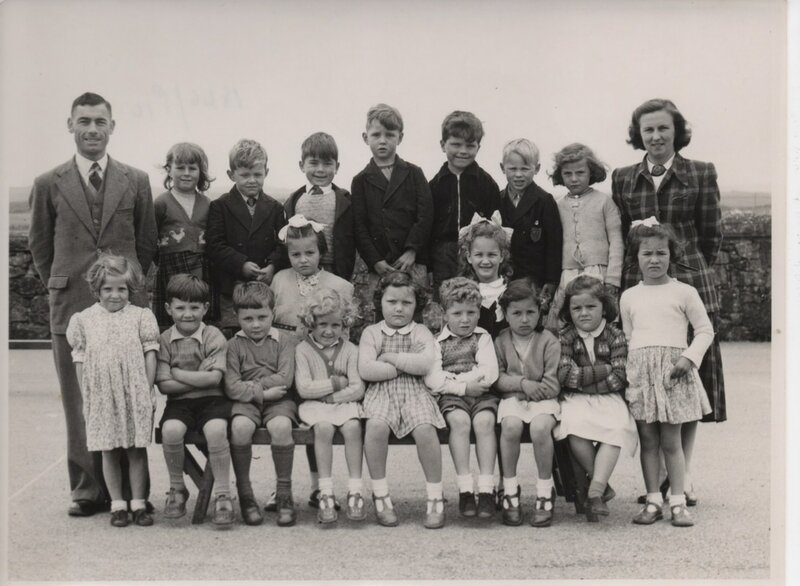 He is in the front row, second from right. 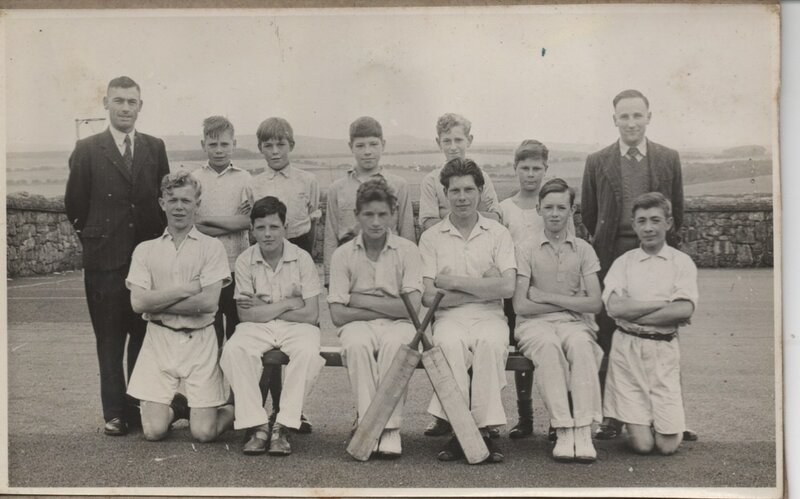 Front Row L. to R. - Michael Bawden, Tommy Johnson. 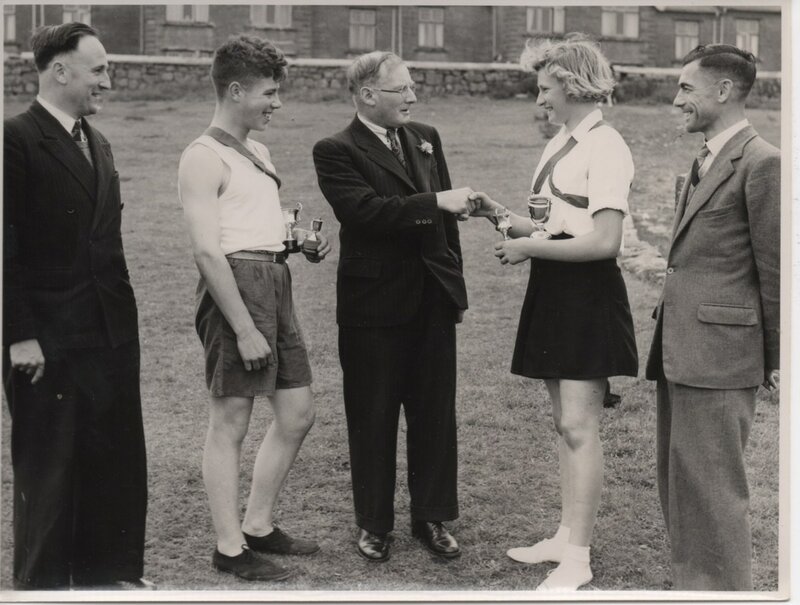 Lewis Brown, Unknown, Johnny Moor. 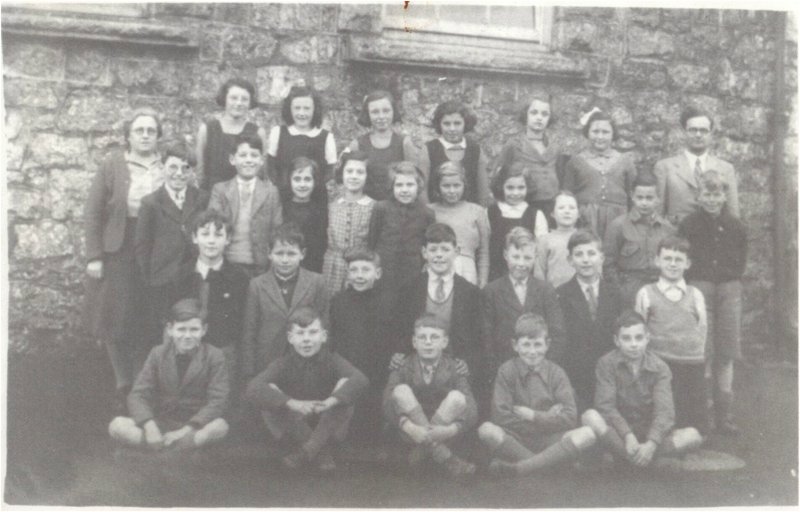 (Image courtesy D. German) A group of schoolchildren at Princetown School, possible from the early 1960's? 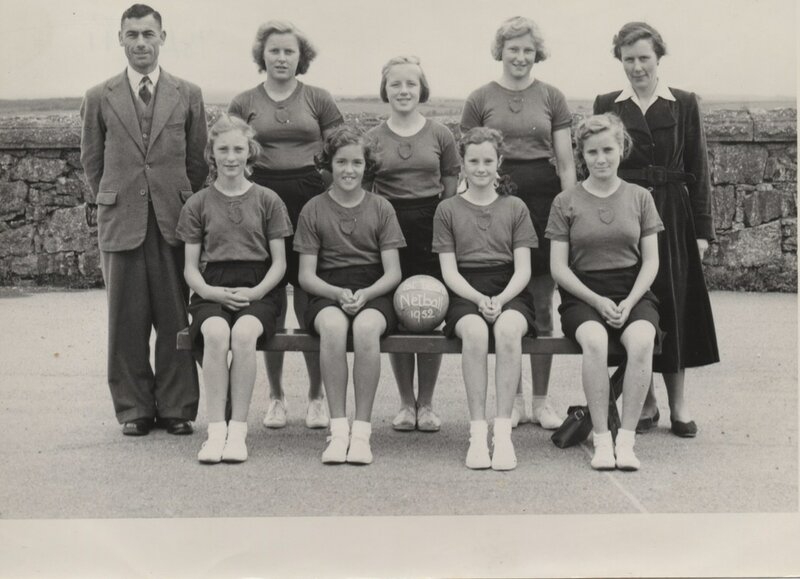 Princetown School netball team 1952. 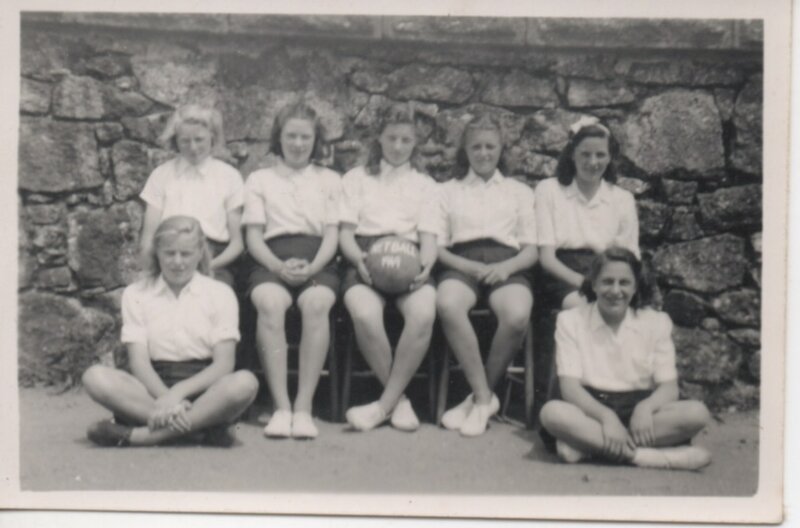 Back row L. to R. - Mr. Partridge, Jean Penrose, Doreen Creber, Mary Ellicot, Mrs. Dunne. 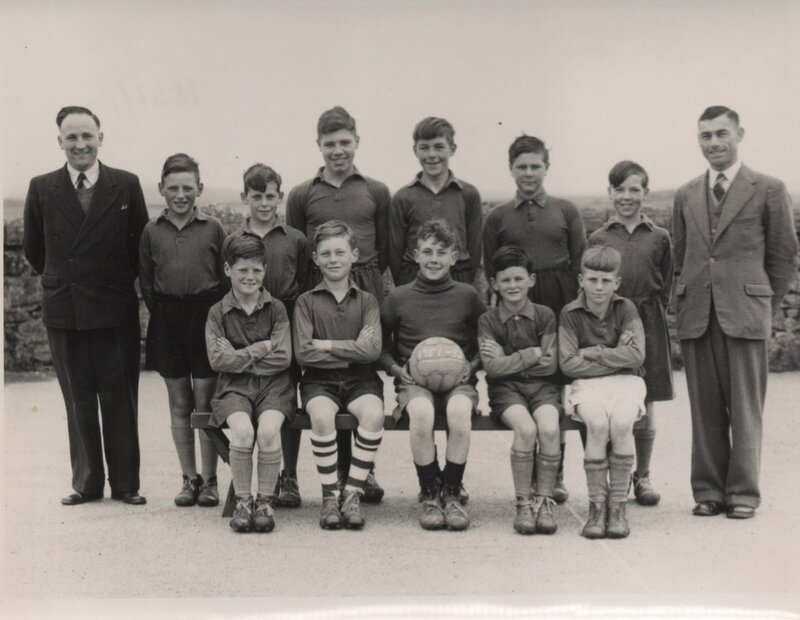 Princetown School football team 1951. Image courtesy D. German. 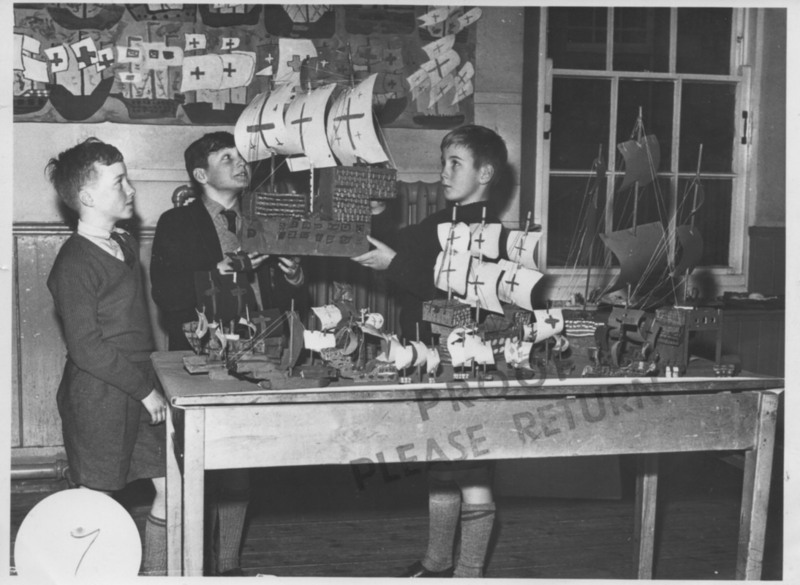 Princetown schoolchildren proudly examine the pride of the Princetown fleet. 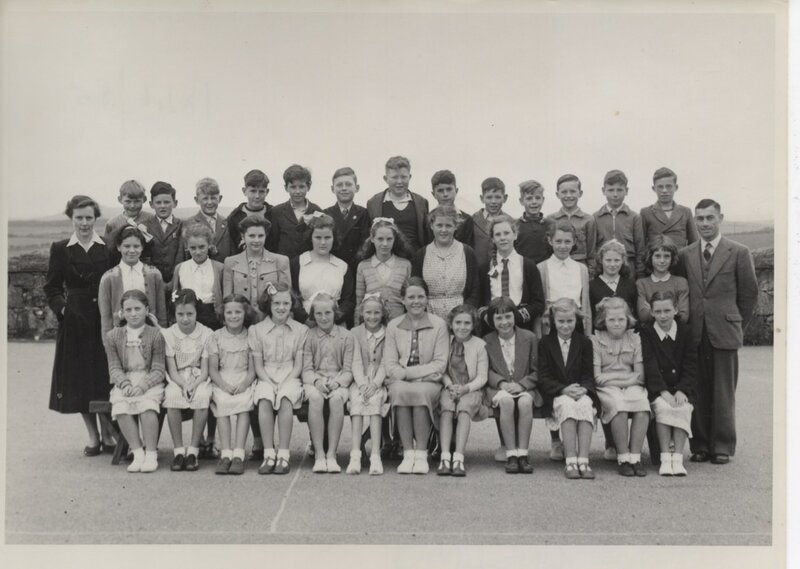 Date early 1960's perhaps? Image courtesy D. German. 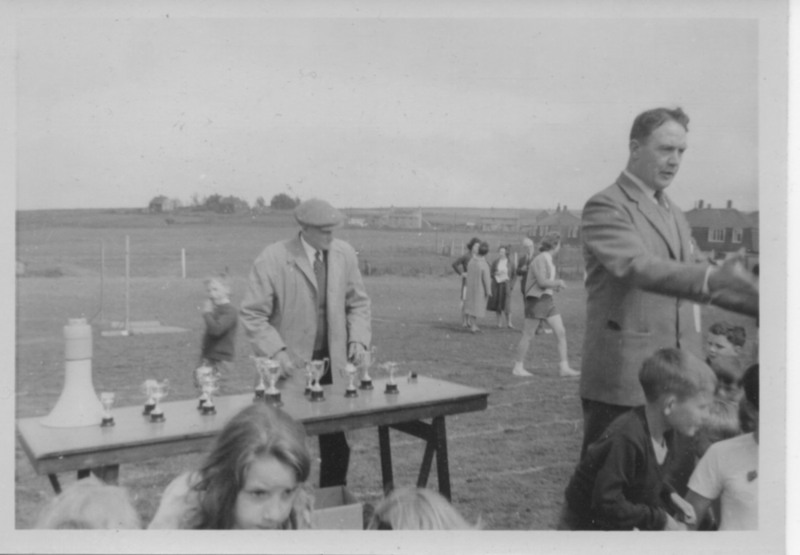 A Princetown School Sports Day from sometime in the 1960's. 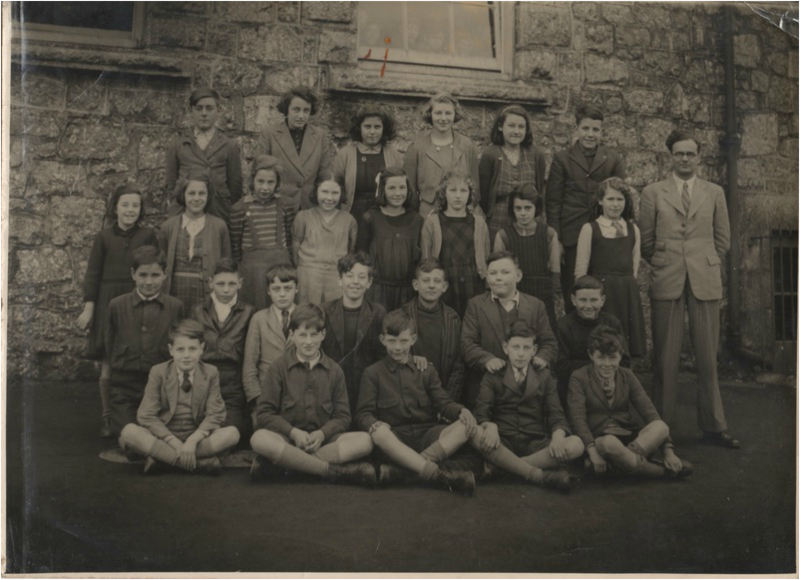 The headmaster Mr. Hopkins, is herding children to the right of the picture, and the gentleman behind the table may be my Grandfather Leonard Worth. 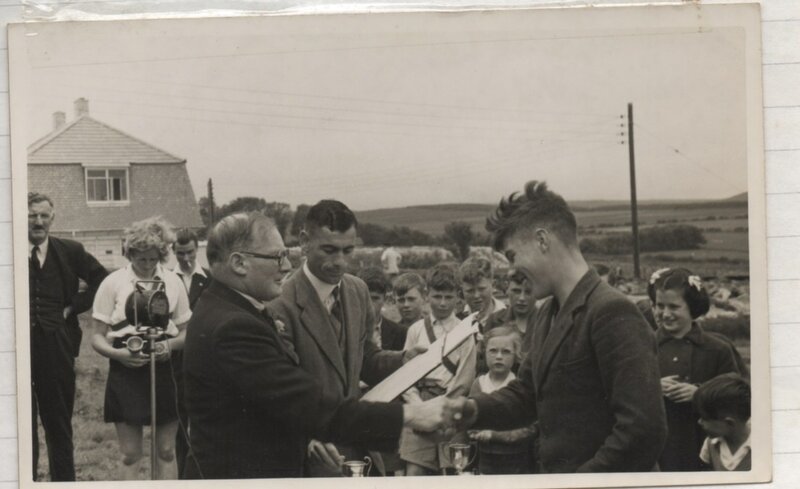 I suspect he may have been drafted in to present the trophies due to his being a leading light of the Parish Council. Image courtesy D. German.